It’s once again that glorious time of the year when the winter blues are all-but gone and dreams of summer sun are back in business. Unsurprisingly, it’s also the time of year when tens of thousands of UK pleasure-seekers peel the covers off the caravans and once again take to the roads in search of springtime happiness. There’s really no denying the fact that the UK is a genuine mecca for campers and outdoors types, boasting some of the most incredibly scenery and outstanding beauty spots on the planet. But at the same time, with limited space available on the already congested public highways and byways, it’s of the utmost importance to keep tabs on vehicle safety not only for yourself, but for everyone else on the roads. According to the experts at www.bktyres.co.uk, it’s both remarkable and rather on the worrying side that so many campervan and caravan owners confess to having not given their van’s tyres any real thought for several years. They tend to assume that if the unit itself isn’t used as often as the car, it really doesn’t warrant the same kind of close attention to tyre safety. Sadly, with well over 650,000 caravans and campervans taking to the roads each year, to think that even 1% of these may be moving around on dangerous tyres is more than a little disconcerting. 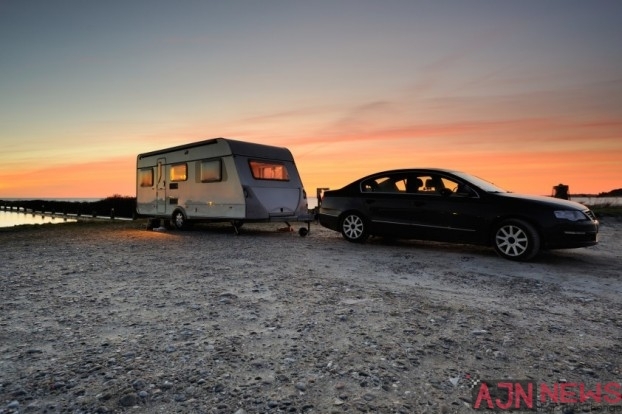 And while a puncture or blowout on a car at any time can be hugely hazardous, a blowout on a caravan being towed at speed can literally throw the carry pulling it well and truly into harm’s way. So, really there’s little disputing exactly how important tyre checks are for caravans, but how should the owner go about them? Well, the simple answer is that most everyday checks can be carried out with no real experience or expensive tools and will take no more than a few minutes at the very most. For example, leading tyre authorities advise caravan owners to carry out a full visual inspection prior to taking to the roads, in order to identify any signs of damage. From cracks in the rubber to spots that have been worn away and right through to strange-looking bulges that perhaps shouldn’t be there, pretty much anything out of the ordinary should be given full attention. In addition, it’s important to take a close look for any signs of foreign objects that may be stuck in the tyre or embedded in the tread, which once on the road again could lead to a puncture or blowout. In terms of tyre pressures, each and every van will have a different recommended minimum and maximum pressure set out by the manufacturer, so it’s important to both know this and make sure the rules are followed. Never assume you’ll ‘get away’ with being a little over or under – this is the kind of attitude that leads to accidents. In addition, UK law states that the depth of the tread on each tyre must be at least 1.6mm, so it’s a good idea to invest in a cheap tread depth gauge that you can keep in the car or van at all times. What’s more, if it has become apparent that there is a slow puncture somewhere or some kind of leak that’s letting air out slowly but surely, it’s good to get this checked out in order to prevent a minor problem becoming a major nightmare. It’s often assumed that as the van hasn’t been used at all over the winter, there’s really no need to worry about the tyres if they were just fine last year. Sadly, tyres are like so many other things where humidity, changes in temperature and a general lack of attention can lead to problems with overall strength and integrity. It takes just a few minutes to make sure there’s nothing wrong with the tyres before heading out and in doing so you’ll stand a much better chance of not spoiling your summer with a nasty accident. And just in case the worst should happen, it’s always a good idea to keep to hand the number of a good mobile tyre fitter, just in case you get caught out on the way to your destination. After all, the last thing you need is to be towed all the way home for a job that could have been done at the roadside – why waste the little good weather the UK actually gets every year?